I love a good cardigan sweater, and the more over-sized and chunkier, the better in my book. That's why when CAbi reached out to me to style some pieces from their new Spring Collection, this sweater was an instant must-have. It combines so many things that I love -- oversized and slouchy look, comfort (le duh), aztec print (a fave of mine), and a fun pop of color. I love how the overall color scheme in this sweater is neutral, but weaved into the print is this beautiful coral pink. I kept the rest of my look pretty simple with black distressed denim (told y'all I'm obsessed and can't stop wearing them), black booties, and a black nursing tank (which I love -- Thanks to The Swanky Stork!). I wanted to play on the pop of pink in the sweater, so I opted for a bright pink bag with a matching lip. 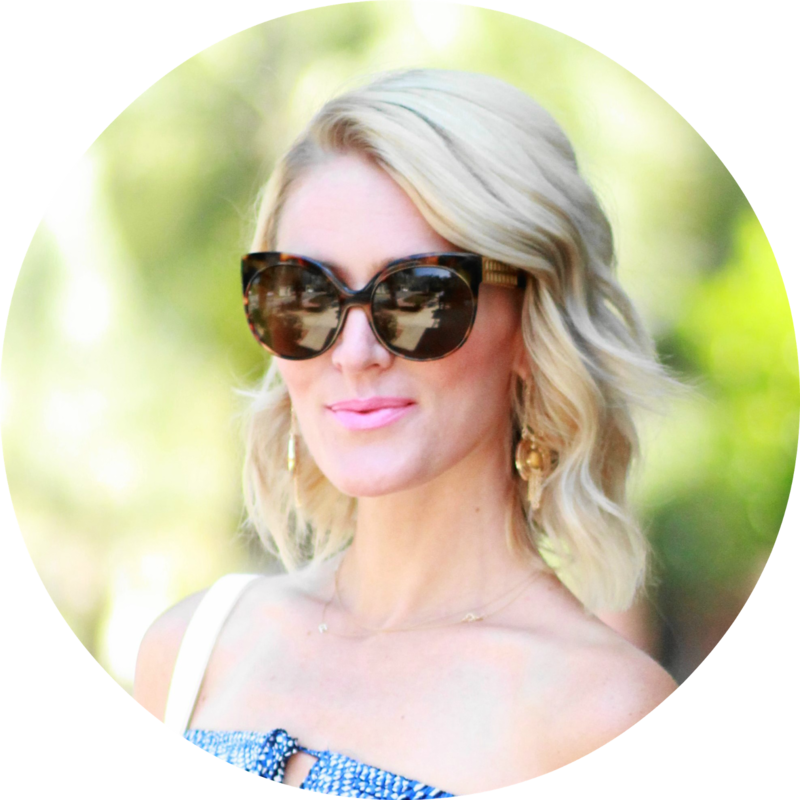 I finished off my look with some edgy cat-eye sunnies and one of my fave rings by Samantha Wills (her bohemian-style jewelry is siiick y'all, and if you haven't checked it out you NEED TO!). My look was edgy, but polished -- just the way I like it. Do y'all love oversized knits as much as I do? If so, how do you style them? I want to know! P.S. Check back weekly as I'll be styling more pieces from the CAbi Clothing Spring Collection! Love this boho chic outfit! Your cardigan has a great pattern and bag is so unique!